On behalf of the entire Alliance Board, I am pleased to let you know that House Bill 2701 (HB2701) has been introduced to restore the Arizona State Parks Heritage Fund (“Fund”) with $10 million each year in Arizona Lottery funds (as originally conceived by Arizona voters in 1990). Sponsors of the bill are Representatives Osborne, Cano, Cobb, Dunn, Fernandez, Kavanagh, Toma and Senator Kerr. HB 2701(state parks; lottery; heritage fund) has been assigned to the House Natural Resources and Energy Committee and is on the agenda to be heard this Tuesday, February 19 at 2:00 p.m. in HHR1. Here is a one page summary of HB2701 for your reference. You can communicate your position through the Legislature’s Request to Speak (RTS) system. If you don’t have an account for the Legislature’s Request To Speak System, please link here for detailed instructions. You can also call or email the House Committee members directly and let them know you want them to SUPPORT HB 2701. Senate Bill 1241 which was introduced earlier this month, restores the Fund, but only allows for grants, donations, and direct appropriations. SB1241, which received a 7-0 favorable vote of the Senate Natural Resources and Energy Committee, will now be heard by the Senate Appropriations Committee on Tuesday, February 19, 2019 at 2 p.m. in Senate Room 109. You can communicate your position by using the Legislature’s Request to Speak (RTS) system or contact the following Senate committee members directly and let them know you want them to SUPPORT SB 1241. From the time Arizona voters approved the creation of the Fund to the Great Recession when it was defunded and removed from statute, the Fund served our state well with its dedication to parks, outdoor recreation, open space, non-motorized trails, outdoor and environmental education, and historic preservation. It is our hope that this Legislature restores the Fund after satisfying all other current encumbrances, and to bring the Fund back to effect in a responsible and deliberate manner. Why the Fund is important. Arizona’s local, regional, and state parks and recreation facilities are economic development generators that encourage the spending of tourist dollars, attract businesses whose workforce choose jobs in locations with quality of life benefits, strengthen community cohesion, and increase property values. Historic preservation initiatives in our rural communities and urban areas promote economic development by creating jobs, revitalizing historic areas, increasing property values, and promoting heritage tourism. Thank you for all the work you do to improve our state’s quality of life and to support the reinstatement of the Arizona State Parks Heritage Fund. If you have any questions or comments, please feel free to contact us at mail@azheritage.org or call 602-528-7500. I’m excited to let you know that a bipartisan group of Arizona state senators has introduced Senate Bill 1241 (“SB1241”) to restore the Arizona State Parks Heritage Fund (“Fund”). Senators Brophy McGee, Boyer, Carter, Kerr, Navarrete, Otondo and Pratt have introduced SB 1241 – state parks board: heritage fund– for restoring the Arizona State Parks Heritage Fund. The bill has been assigned to the Natural Resources and Energy Committeeand is on the agenda to be heard this Wednesday, February 6 at 2:00 p.m. in SR109. Here is a one page summary of SB1241 for your reference. We request that you please submit your position through the Legislature’s “Request to Speak (RTS)” system. If you don’t have an account for the Legislature’s Request To Speak System, please link here for detailed instructions. In the meantime, please call or email the following legislators and let them know you want them to SUPPORT SB 1241. Source: Arizona Game and Fish Department Press Release – January 23, 2019. 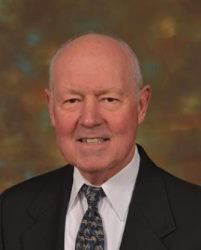 Governor Doug Ducey today announced the nomination of James E. Goughnour of Payson, Arizona, as a member of the Arizona Game and Fish Commission. Goughnour, an Arizona resident of 42 years, is an outdoors enthusiast and driving force for wildlife conservation and outdoor recreation in the Payson area. He is the owner of Rim Country Custom Rods, a small business that designs and builds custom fishing rods and repairs rods and rod components. Prior to starting his business, he worked 26 years for General Dynamics Aerospace Systems Group in Scottsdale, where he held a number of management positions, culminating in a position as a project manager for all aspects of the Aerospace Operations Program. Goughnour is the immediate past president of the Mogollon Sporting Association (MSA), a not-for-profit 501(c)3 volunteer organization that raises funds to benefit wildlife conservation and youth education programs throughout the Mogollon Rim area. He serves as the MSA organizational interface with the Arizona Game and Fish Department (AZGFD) and the Tonto National Forest to receive project requests and coordinate with MSA to provide funding and volunteers. Goughnour is also active with and has chaired the Payson Special Volunteer Committee, where he led a group of approximately 100 volunteers, business owners, and county and town representatives to develop a plan to attract national-level bass fishing tournaments to Roosevelt Lake and promote Payson by designating it as the “Host Town” for these events. He serves as chair of the Gila County Roundtable, a group of Gila County anglers working with AZGFD to enhance fishing conditions at Roosevelt Lake. As part of this partnership effort, the Florida Fish and Wildlife Conservation Commission in 2014 donated more than 400,000 Florida-strain bass fry for stocking into Roosevelt Lake. Goughnour is an active member of the Bass Anglers Sportsman Society, Forest L. Wood, the National Rifle Association, and the Tonto Rim Sports Club. He works with the Payson Parks and Recreation Department and AZGFD in the planning and execution of the annual Payson Wildlife Fair. He is also an active participant in the Kids Fishing Program at Green Valley Lake. Goughnour earned a Bachelor of Science in Business Administration from the University of Phoenix. His appointment is pending confirmation by the Arizona Senate. In November, Ducey fired Parks Director Sue Black and her top deputy, ending her tubulent 3 ½-year tenure running the agency. Black was fired after an Arizona Republic investigation revealed allegations from former department archaeologists that the agency had developed state land without regard for laws protecting Native American and other archaeological sites. The allegations triggered a criminal investigation from the Arizona Attorney General’s Office. Black also was repeatedly accused of mistreating employees, including the firing of a woman with cancer. Meanwhile, interim Parks director Ted Vogt was appointed to run the state Department of Gaming on Friday. He will be paid $135,000 a year. Broscheid arrives from Colorado, where since 2013 he was the director and chief executive of Colorado Parks & Wildlife. He will be paid $170,000 a year. In Colorado, Broscheid led efforts to expand access to Colorado’s state parks, establishing programs to connect young and underserved populations and their families to outdoor and recreational opportunities, Ducey’s office said. Prior to his work in Colorado, Broscheid served at the Arizona Game and Fish Department for 18 years, including as the deputy director for the agency from 2008-2013, according to Ducey’s office. Broscheid said he was honored to join Arizona Parks & Trails. “Arizona is full of diverse landscapes, rich cultural history, and outdoor recreation opportunities. These parks belong to everybody, and my top priorities will be to help preserve and protect these natural resources for the enjoyment of all visitors,” he said. Broscheid holds a bachelor’s degree in Wildlife Management from Arizona State University and is a graduate of the National Conservation Leadership Institute. Vogt, meanwhile, has extensive state government experience as he becomes the Gaming director. Vogt has been Ducey’s first chief of operations, director of Veterans Affairs, and executive director of the Arizona Corporation Commission. Vogt said he was honored and excited for his new role.